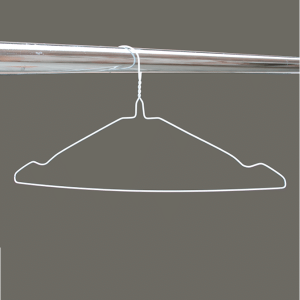 Wire hangers are ideal for hanging garments and great value for money. Boxed in a quantity of 500. 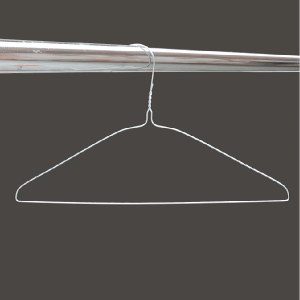 Hang a wide range of clothes including jackets, trousers, suits and coats. 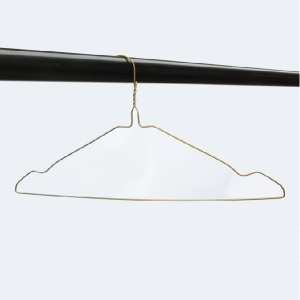 Also buy wire hangers with notches in bonze (gold), silver and white to hang dresses and skirts. 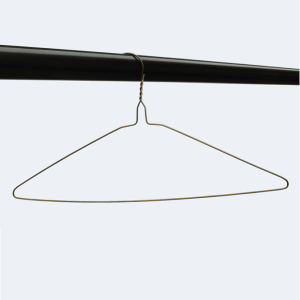 Choose from bronze (also known as gold), silver or white in a strong 13 gauge and 16 inches wide. 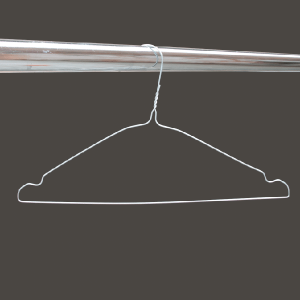 In addition, hang shirts on our 18 inches wide and 14.5 gauge wire shirt hangers. The extra width helps prevent shirts from creasing. 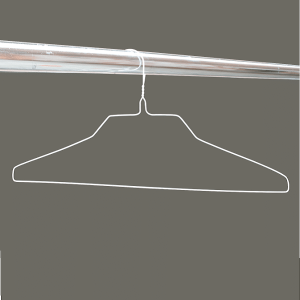 Leading dry cleaners, laundries and ironing services buy from us. 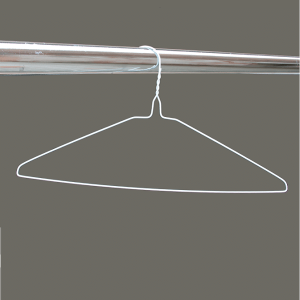 We also supply hotels, nursing homes and event companies. We have a quick delivery of normally 1 to 2 days across UK and Ireland. 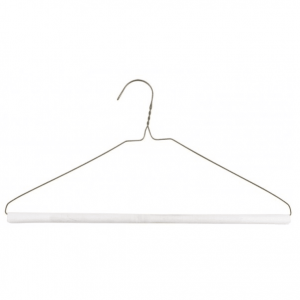 Order wire hangers just when you need them because we keep a very large stock. Buy them now at the lowest prices on irons.ie. Pay by bank transfer, credit card or PayPal using our fast and secure checkout.